As you can see, more than a year has passed since I have posted. I am determined to make a consistent effort from now on. Lately, persons who have visited my site http://www.alcinanolley.com, have been past visitors to beautiful St. Lucia. Many of them were married here or honeymooned here. 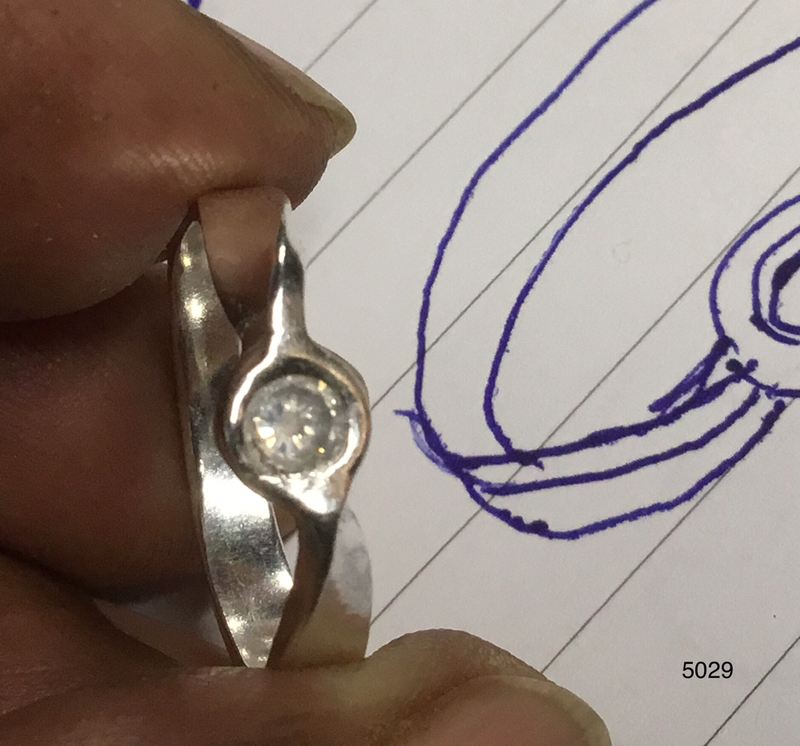 So, I am adding a new emphasis to my jewelry: custom, alternative wedding rings. This year my husband and I will celebrate 58 years together. 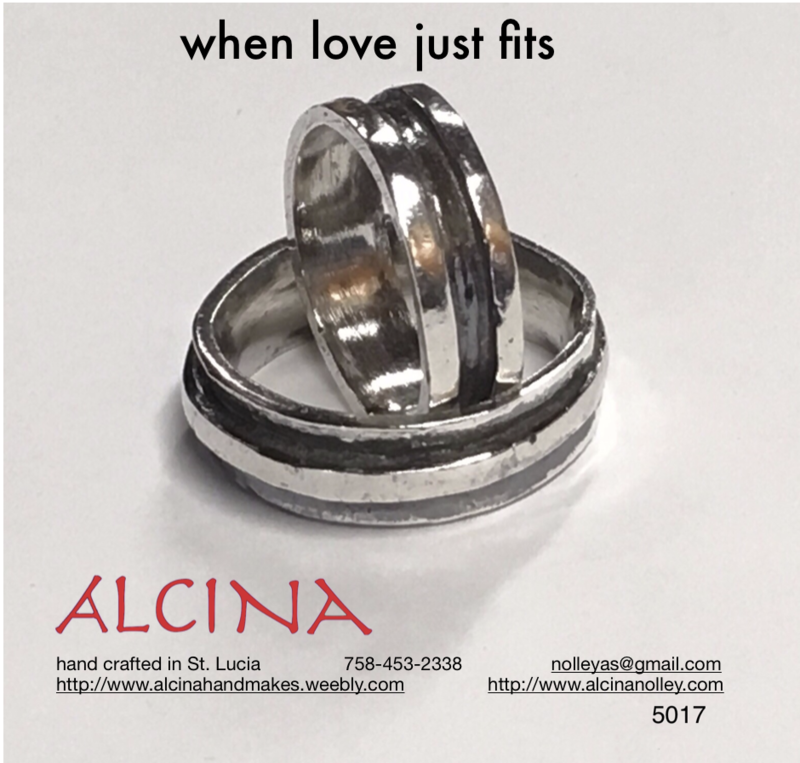 We commissioned our wedding rings to made by a fellow student in the jewelry department of the university were attending. They were made of sterling silver, and are still as fresh as we are. They are simple, affordable, and unpretentious. Just what many couples are seeking today. I will be posting more about my new line THE COUPLES CONNECTION, in subsequent posts. and if any of you are having an anniversary this month....HAPPY ANNIVERSARY! Well, the start of a new year and taking on new challenges. 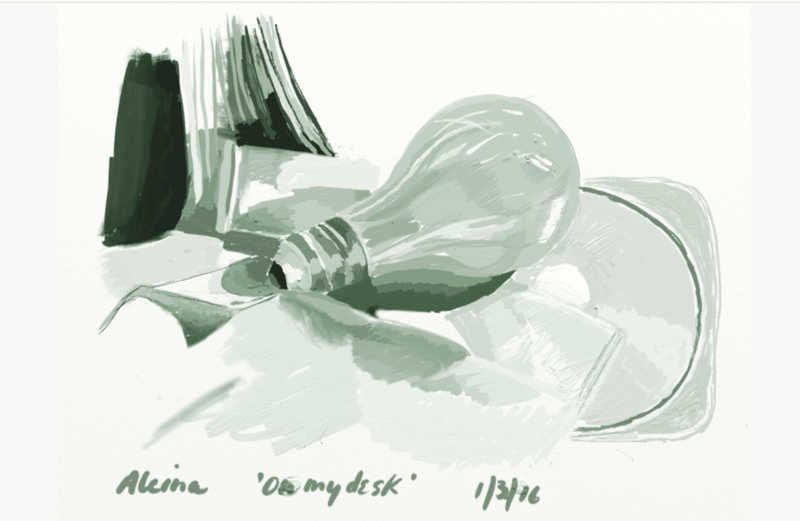 I am participating in painting Thirty Paintings in Thirty Days with Leaslie Saeta. I posted my first one today.....three days into the month....but hey.....I started. This is done on my iPad with the Procreate app. I'm a retired art teacher, offering my paintings and jewelry for the enjoyment of people who love St. Lucia. Especially those couples that respect the never ending ring that denotes an enduring partnership.